Cape Town - South Africa's Justin Harding has earned his spot in the field for next week's Masters at Augusta National Golf Club. Players from the Top 50 in the world rankings the week before the first Major of the year, who had not already qualified, all secured trips to the year's first Major. Harding and Irishman Shane Lowry were the only two golfers in the Top 50, who hadn't already qualified for the tournament. Harding, 33, won two of his three WGC-Match Play matches this past weekend, losing only to group winner, Rory McIlroy. 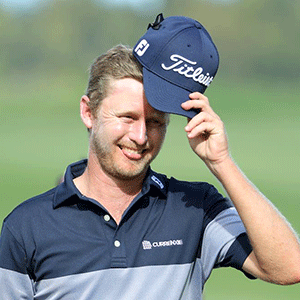 The South African's performance at Austin Country Club saw him move up one spot to 48th in the rankings. Harding will join compatriots, former Masters champions Charl Schwartzel and Trevor Immelman, world No 20 Louis Oosthuizen, world No 43 Branden Grace and amateur Jovan Rebula, at Augusta. The field for the Masters currently sits at 86 with one more potential qualification spot available at this week's Texas Open - if that player hasn't already qualified. The 2019 Masters will run from April 11-14.